Printwear & Promotion LIVE! 2018 will take place at NEC, Birmingham from 21–23 January, 2018. Registration for this event is now open. The exhibition offers visitors the opportunity to see new products and solutions within the garment and promotional product decoration industry up close and in action. Last year saw a total of 5,620 people flood into the show and this year event organisers expect even further growth. 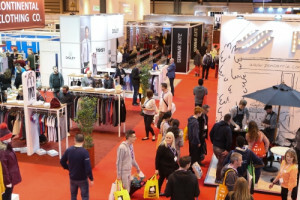 The show will include around 160 stands from all sectors of the garment and product decoration market, including around 60 clothing brands, distributors and all of the major decoration equipment and accessory suppliers covering direct to garment, sublimation, transfer and screen printing and embroidery. Printwear & Promotion LIVE! 2018 will incorporate a number of interactive and informative features. Returning for 2018 is the Fashion Show, demonstrating current trends in the printwear industry. Also returning is the Screen Print Workshop and the Seminar Suite, offering visitors expert-led presentations on a range of topics concerning the future of the industry. The Bag & Headwear Decoration Advice stand will also return to provide advice on how to decorate those tricky items!